Bottling is a capital-intensive business. The money is in the syrup. Guidance was issued without a balance sheet forecast or comment. When they leave out the balance sheet …. well I’ll let investors come to their own conclusions about how the cost of capital is to be recovered. Microsoft (MSFT) stunk up the joint today with a double-barreled press release. Firstly, their board elected Reed Hastings, founder, chairman and CEO of Netflix Inc.,as the lead independent director. Netflix is revolutionizing the movie business. Where will this guy’s heart and mind be as he tries to be independent on Microsoft issues? Not a good fit as a board member in the first place. Just remember how well Eric Schmidt from Google (GOOG) worked out on the Apple (AAPL) board. Time bomb ticks very loudly. Secondly, the board will no longer use a wire service to disseminate financial information. They will now use an RSS feed from the investors relations component to their website. This will disadvantage the concept of wide dissemination. You have to be digitally tracking. The entire manner of explaining information to the market place is quickly changing. Investors will most likely not benefit. 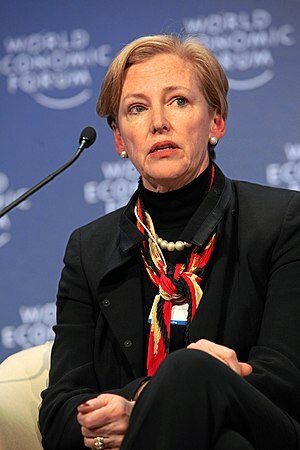 DuPont (DD) Chair and CEO Ellen Kullman set up investor expectations until 2015 when she promised Topline growth of 7% and EPS growth of 12%. That of course is classic operation’s leverage as described in most biz schools in one of their introductory courses. The stock sits at its 52 week high and management needs a way for it to break out. Ellen Kullman was of course speaking at the Bank of America Merrill Lynch Global Industries Conference. The devil will be in the details and every investor call will now listened to in this context. She has positioned the company as a science-based products and services company. The question becomes is this an industrial company or a high-tech enterprise commanding higher multiples. No discussion or comment about markets. Just a focus on products. I always get worried when the inventors speak to the product and not the solution. National Semiconductor (NSM) announced a dividend of ten cents per share while announcing something called an inventory adjustment within its distribution chain. Gross margins also declined, never a good sign for fundamentals. The dividend smells like a bribe. Don Macleod, National’s chief executive officer while explaining himself also added “…we saw, in aggregate, slower demand from mobile phone customers than we typically see in this seasonally strong, pre-holiday season..” Don that’s not good. No discussion of markets, products or the real future other than we invest to make tomorrow better. Cat must have managements tongue. Amazon (AMZN) currently sits with some $6.3 billion in cash and near cash. I recently blogged about Vorando Realty tag teaming with Pershing Square to “unlock real estate values” at JC Penney. (JCP) When will Amazon join in to take over the digital properties of retailers and merchandisers to unlock their value. you gotta believe Amazon can run a merchandising web site better than bricks and mortar retailers. Just thinking out loud. Jeff Bezos this is something to ponder. J.C Penney (JCP) is working to free itself from the sweet embrace of Pershing Square and Vorando Realty which disclosed on Oct 8, 2010 respective holdings of 16.5% and 9.9%. The two private equity companies are working to unlock value. This is were Vorando Realty comes into play. They want to realize the full value of JC Penney’s real estate. JC Penney sits on top of billions of dollars worth of land and buildings. The narrative states JC Penney does not know how to manage real estate. Vorando knows better. JC Penney needs real estate as an inexpensive cost input. Real estate is where they display their inventory until consumers come in with cash. What will Vorando do for the JC Penney shareholder in the long term? Higher rents and occupancy costs as real estate value is unlocked. JC Penney can set up their own REIT with someone other than Vorando and unlock the value themselves. 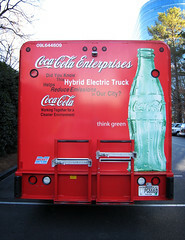 Or they can keep their cost inputs down and remain as merchants which is what they really are all about. Pershing talks a great story about governance. Where is the governance of huge rent cheques payable to Vorando Realty? Lululemon Athletica Inc (LULU) announced blow out Q3 numbers. The stock popped to 52 week highs. The press release begs more questions than provides answers. Yes the increases are dramatic. The question becomes what do you do to sustain the growth. Very little information about the future was provided. Currently Lululemon relies on their own stores. This is very capital-intensive. To continue growing they will need to make inroads with major retailers and set up either in store boutiques or become another offering. No real discussion of the issues. How do investors look into the future.